So God created human beings in his own image. In the image of God he created them; male and female he created them (v.27). Guitarist Mark Knopfler described his introduction to Monteleone this way: “It was like meeting Stradivari!” (the great crafter of string instruments who died in the eighteenth century). Both the virtuoso Knopfler and the gifted craftsman Monteleone reflect Imago Dei—the image of God. But then, we all do. Human beings have a compulsion to create art and beauty because we’re designed to bear our Creator’s image. Look at what we learn about God and ourselves in the Bible’s first chapter. Like a blank canvas, “The earth was formless and empty.” And like an artist brooding with creativity, “The Spirit of God was hovering over the surface of the waters” (Genesis 1:2). Then God declared, “Let us make human beings in our image, to be like us” (1:26). Permit that to sink in. Although it would be the height of blasphemy to call ourselves God, He made us to be like Him. So what does that mean? 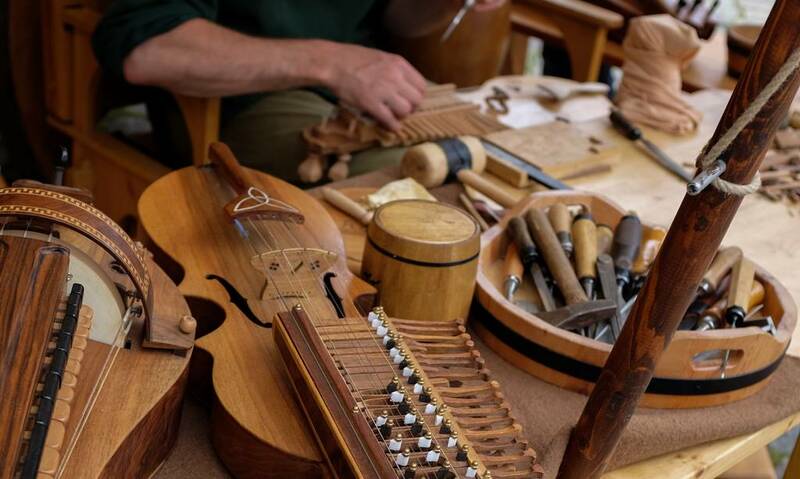 Out of all the creatures on earth, human beings alone can take a block of wood, some pieces of metal and string, and shape it all into an exquisite musical instrument. We alone create art for art’s sake. We alone can think deeply about our Creator and His words to us. In the New Testament we read that Jesus “existed before anything was created and is supreme over all creation . . . . Everything was created through him and for him. He existed before anything else, and he holds all creation together” (Colossians 1:15-17). Made in the very image of God! Such knowledge inspires us to pursue the passions He’s created us to enjoy. It’s time to make sawdust. Read Psalm 139:13-14and consider the amazing “workmanship” ofGod and how you were designed to reflect His ways. What are your passions? How do they reflect God’s image?